We have been thinking about the value of the newsletter to our whānau and what you might like to see in it. There will be a new community section which you are welcome to contribute to. This is to let our families know of events in the local community and community groups people can belong to. Some of our families tell us they do not know anyone in their neighbourhood or how to go about belonging to community groups. If you would like to contribute to this section, see Rachel or Anita in the office. By the time you receive the newsletter we will have celebrated our first birthday. Our sincere thanks to all of you who came to the Party in the Park and all of you who continue to allow us to care for your children. What a wonderful first birthday celebration. A big thank you to Robyn who organised this event and also to all the staff who put their hands up to do the jobs required to make the afternoon the success it was. A shout out also to Dixie and her partner Ron who spent the day organising the hangi. We had meals left over which we donated to a charity in Tauranga for their evening meal on Saturday. We would also like to express our thanks to our families who brought in chilly bins, found a face painter and who joined us at our party in the park. We hope you got to enjoy some cake. On Wednesday 14th and Thursday 15th March we will be giving families an opportunity to come and meet with teachers to discuss aspirations for their child/ren. Please book a time on the schedules in the rooms if you would like to do this. In line with using more sustainable practices, all new families enrolling with Grow will receive a wet bag as part of their enrolment fee. We are phasing out plastic bag use and would ask existing families to see Rachel in the office to get a new wet bag. We will notify you as soon as they arrive. A cost of $2.50 will be charged to your invoice. If you wish to opt out, then you will be required to provide your own bag for your child’s wet/dirty clothing. We are grateful to Brenda Odendaal who has helped support this initiative. Thanks Brenda. There was a great response to having a photographer come into Grow and take individual photos of children for whānau to purchase. More about this shortly via Storypark. In April we will be hosting an evening event where you can find out how to keep your family safe online. For a sneak preview check out the video at https://player.vimeo.com/video/248082779 Our director Aaron has been involved in the development of the Safe Surfer app and a little birdie told us that they are now a finalist in the following awards in March. We wish Aaron and the team at Safe Surfer all the best. • Please bring in a family photo as we would like to expand our whānau walls in every room. • If it is wet outside please bring along your child’s raincoat as we do like to play outside even if it is raining. • The Mangatawa room would like any cardboard cylinders from empty glad wrap rolls for art work, please bring in any you may have. Please no toilet rolls as these cannot be used. Our lovely Rachel who was a dance teacher in another life, is holding a dance session most weeks at Grow. Children love to express themselves through movement and dance and offering an opportunity to join in these sessions is a further extension of what is on offer in our learning programme. And of course, we are grateful that Rachel finds time in her busy schedule to do this for the children. 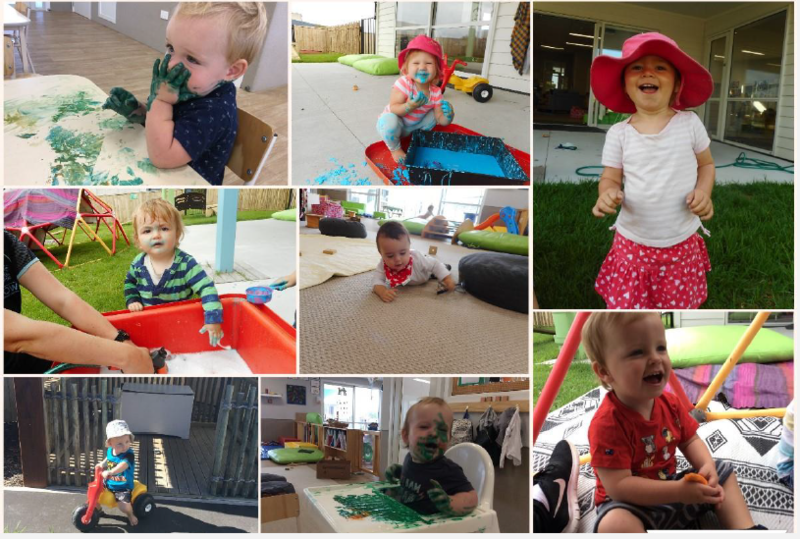 Grow ECE would like to thank the following businesses that helped make our first birthday a huge success: New World Te Puke, The Petting Zoo, Superslides Bay of Plenty, Absolute Party Hire, Pak n Save Tauranga, Gilmour’s Tauranga, Give a Smile, Face Painting – Ambers Fairy Life, Bubble Waffle NZ, The Thoroughbrew Café.